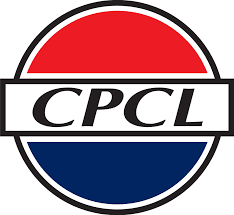 Chennai Petroleum Corporation Limited (CPCL) invites the applications from young, self-motivated & energetic persons of Indian Nationality for the following positions. Qualification: A first class Degree in Engineering/ Technology in Chemical/ Petroleum/ Petrochemicals with not less than 60% mark in aggregate of all Semesters/ Years. SC/ ST candidates need to score a minimum 55%. Qualification: A first class Degree in Engineering/ Technology in Mechanical with not less than 60% mark in aggregate of all Semesters/ Years. SC/ST candidates need to score a minimum 55%. Qualification: A first class Degree in Engineering/ Technology in Electrical/ Electrical & Electronics with not less than 60% mark in aggregate of all Semesters/ Years. SC candidates need to score a minimum 55%. Qualification: A first class Degree in Engineering/ Technology in Civil with not less than 60% mark in aggregate of all Semesters/ Years. ST candidates need to score a minimum 55%. Qualification: A first class Degree in Engineering/ Technology in Metallurgy with not less than 60% mark in aggregate of all Semesters/ Years. Qualification: A first class Degree in Engineering in Computer Science/ Information Technology/ Electronics & Communication with not less than 60% marks in aggregate of all Semesters/ Years. Qualification: Graduate in any discipline with two years course leading to Post Graduate Diploma/ Masters Degree in Human Resource Management/ Personnel Management/ Industrial Relations/ Labour Welfare/ Master of Social Work / Masters Degree in Business Administration or equivalent with specialization in Personnel Management & Labour Welfare/ Human Resources with not less than 55% mark in aggregate of all Semesters/ Years. Qualification: A first class degree in any branch of Engineering or Technology with not less than 60% mark in aggregate of all Semesters/ Years. Should possess a degree or diploma in Industrial safety recognised by Govt. of India/ approved by Govt. Regulatory Bodies. Should possess adequate knowledge of Tamil language. Application Fee: Rs.500/-. SC/ ST/ PwBD/ Ex-servicemen candidates are exempted from payment of application fee. Last date: 08th October, 2018.